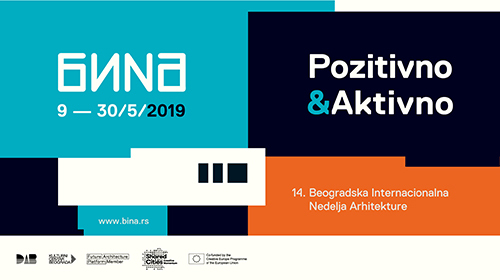 The jury for the INTERNATIONAL COMPETITION FOR AN URBAN PLANNING AND ARCHITECTURAL PRELIMINARY DESIGN OF TOURIST CENTRE ON THE KLEKOVACA MOUNTAIN IN REPUBLIC OF SRPSKA, BOSNIA AND HERZEGOVINA has held final sessions of the jury in Belgrade, on 28th and 29th of September, 2014. The deliberations of the jury were focused on evaluation of the second stage competition entries by the 4 invited teams, as well as further evaluation of all entries from the first stage of the competition. The jury and the competition organisers are taking this opportunity to thank all the participants for their efforts, and to congratulate the awarded teams. We wish the winners success in further elaboration and development of the project. 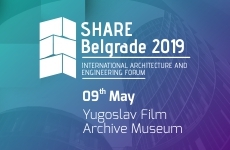 The jury meetings and evaluation of the projects submitted for the Competition took place in Belgrade from 18th to 20th of July 2014, with all appointed members of the jury in attendance. The total number of 27 entries was received and taken into consideration for the prizes. The jury sessions were preceded by the reports prepared by the evaluation team, in charge of checking the fulfillment of formal requirements (time of receipt of entries, completeness of received materials etc), as well as for quantitative and qualitative criteria (completeness of programmatic and distribution requirements, conceptual proposals, sustainability etc). Following a lengthy presentation by the evaluation team, as well as a detailed study of submitted entries by the members of the jury - in groups and individually - the jury members decided to proceed with a voting procedure. (a total of 14 entries). The entries eliminated in the first round were mainly entries that failed to convince the jury on the level of completeness and clarity of their proposals, or entries that failed to reach or present the required quantitative criteria in a sufficient way. (a total of 7 entries). The entries eliminated in the second round were entries that fulfilled all of the required criteria, but still failed to provide convincing working urban proposals covering all qualitative criteria of the jury. 3(BK180900), 4(EF200837), 9(HO215878), 12(LA236633), 16(BW300614), 22(AA227777). The jury concentrated on comparative merits of individual entries on the level of detailed urban concepts, potentials for elaboration of architectural proposals, models of financial and climatic sustainability, as well as the overall clarity of the presentation. The decision was reached, with majority of votes, to return entries no 8(TP605630) and 20(MH842836) into further consideration. In the final round, the jury – following a long debate - reached a decision to propose to the client and promoter that the competition be extended into a second phase, where a small number of distinctive entries will be selected and their authors invited for further elaboration. The jury concluded that – while nothing that a large number of projects was presented and elaborated on a very high level, none of the proposals was convincing enough, and that the authors would benefit from a chance to further investigate, clarify and elaborate their proposals. Following a voting procedure, with majority of votes, the decision was reached to invite authors of the following projects for further elaboration of their entries: 3(BK180900), 4(EF200837), 9(HO215878) and 22(AA227777). It was decided to inform the authors of the entries and seek their agreement to further develop the projects, following a briefing with the jury members, scheduled for 4th of August, 2014. In agreement with the client and promoter, a separate sum of money was allocated for compensation for the travel and project elaboration costs of the invited teams. All other projects were kept anonymous, as the jury agreed to retain them for further evaluation within the framework of the competition prizes. The briefing between the 4 invited teams and the members of the jury (all of the members, except member B. Petrovic, were present) took place in Vienna, on 4th of August, 2014. The teams were invited to present their entries individually, and the comments and suggestions of the jury were given to each team individually. Every effort was made to preserve the specificity of each entry, and to suggest possible changes and improvements to each team, based on the merits of their proposals. The deadline for receipt of entries was set for September 24th 2014. The second jury meeting and evaluation of entries took place in Belgrade, on 28th-29th of September 2014. All members of the jury were present. The evaluation team presented all of the invited entries, with comparative tables covering all relevant data. The jury additionally debated each entry individually, with the aim of analyzing their qualitative merits, their potentials and the possibility of their implementation within the location. Following voting, the decision was reached that the project with the working code 9(HO215878), as well as the project with the working code 3(BK180900), while further developed to a higher level of legibility and resolution, have failed to convince the jury of their potential for possible implementation, and that they should not be taken into further evaluation. Further discussion within the jury about the remaining projects – working code 4(EF200837) and working code 22(AA227777) led to a conclusion that each of the projects, while proposing a clear and readable strategy (one for the development of the ‘resort’ model for the new centre, the other a city-like structure to be developed over time), does not offer a complete enough perspective to merit the highest prize. Therefore, the jury finally reached the decision to award the second and third prize: second to working code 4(EF200837), and third to working code 22(AA227777) and propose to the client and promotor to continue with the further elaboration of one or both entries. Following the prize distribution, the jury deliberated the quality of remaining proposals, including the proposals from the third round of voting during the first phase of the competition, and decided to award 3 honourable mentions to the following entries: 8(TP605630), 12(LA236633), 16(BW300614). All of these entries, in different ways – in the opinion of the jury – propose alternative models of urban development and/or architectural resolution of the details to merit further attention, possibly for developing particular typologies within the future urban strategy. The jury concluded its sessions on 29th of September, 2014. All of the members of the jury were present during all discussions and voting procedures. This competition entry shows a convincing approach towards the idea of development of Ski Centre Klekovaca as a ‘resort’ structure, with a high level of analysis, development and argumentation of proposed urban attitudes. The intention of authors of this project is to make - through development of the new masterplan – a clear, emblematic impression of the new settlement, insisting on its distinctiveness in terms of its overall projected ‘outline’. The main ‘role’ of the project belongs to a centrally positioned circular structure that is aimed at unifying a lot of (potentially) very different architectural expressions, or (possible) ’... multiple cities within the city's own structure...’ as written in competition presentation booklet. A newly planted circular forest, as an integrative element, actually represents the mimesis of the mimesis, or the crucial point at which the artificiality and formalism become total opposites. At the same time, this entry, concentrating the central building area and optimizing its footprint ratio, treats very rationally all infrastructural systems, including the road-scheme, as one of most important infrastructural elements of the project. Generally, a well-balanced and measured approach between the constituent elements of the programme, as well as their presence, makes this project stand out among its competitors. For these reasons, this entry was selected for the second stage of the competition. Suggestions of the jury, after the first stage, were aimed at reconsidering of residential rows (tourist houses), as well as the character of climatic health complex. During the second stage, the authors have shown a good deal of understanding of the project brief and its peculiarities, as well as an ability to reconsider comments received professionally, if not always adequately. In that sense, this project still offers a contribution to an idea of development of a new ski centre within a typology of ‘resort’, as opposed to a development of a ‘city’. The jury has chosen it as a first ranking, second prize project, since some of the developments in the second stage leave some things to be desired. In the potential further development, special stress should be given the problem of absence of ‘small scale’ development possibilities within the main structure of the new ski centre, as all of it seems to be geared towards development of mid to large scale programmatic entities. This is especially the case for the programmes immediately next to the ski arena area, as well as the programmes surrounding the large central circle of the ski resort. Also, the development of tourist houses should allow for reasonable division into smaller groups, for reasons of phasing and exclusivity. Moreover, all of the additional mechanical means of transportation – gondolas and ski lifts, not belonging to the ski centre – should be reconsidered, especially in relation to the health resort. The exclusivity and separation of health resort from the ski-resort should be a priority. The main idea for the Klekovaca Tourist Centre is to distribute in a very natural way the required program in the valley - mainly at the foot of the mountain - keeping free the valley´s bottom. The typical landscape with sinkholes is kept free from building volumes and the demanded golf course could be integrated within the valley in a sustainable way. Different building programs are clearly defined by urban boundaries adapted to the existing topography and allow a precise, yet flexible development of the site. The project offers a feasible arrangement of small, middle-sized and big volumes for the required typologies The jury especially appreciated the possibility of configuration of adequate open spaces with different frequencies and intensities - from urbanity to recreation, relaxation to pure nature. The health centre is split into two parts placed within the clearings of the woods and screened from the busy parts of the resort. Tourist houses are integrated into the existing topography and enjoy great views of the Velika Klekovaca peak. A well-defined arrival to the ski plateau allows the visitors to decide to which part of the resort they want to continue. The skier/visitor focuses on the bordering facades of the ski plateau and gets at the same time a wide view of the open valley and mountains. The accommodation capacities are integrated into the project as required by the competition program. The most disputable issues are the actual micro-location of the village and the additional gondola connecting the eastern part of the valley. The location of the village-like structure is placed at the very southwestern end of the valley and will be in the mountain´s shadow most of the time of the year. A large forest aisle is filled-in by the additional gondola, that exists without really connecting the tourist houses or the health resort. The jury highly valued the clear definition of the site with an evident definition of borders, as well as the overall flexibility of the concept in terms of development and possible typologies. A strong conceptual or (possibly) iconic identity of the tourist centre is unfortunately not so obvious. The organization of the site and the clear zoning could give a respectable basis for a basic masterplan. The project is explicitly adaptable to the site and offers a clear possibility to develop a ‘place to be’ within the nature and the large valley. The jury has decided to award the second ranking/third prize to the project, and put it forward to the client (together with the first ranking project) as a possible alternative for further elaboration. The project proposes a clear ‘accumulation’ of smaller urban sub-structures, articulating different programmatic entities of the competition brief. It is dominated by a clear, geometrically defined village-like structure, traversing the valley and climbing the mountain slope, containing most of the programmes of the new centre. The jury has appreciated this simple, powerful structure of the settlement, with its clearly demonstrated ability for development over time, and its potential to create both specific locations and atmospheres within it, simultaneously resulting in astrong overall outline – an urban ‘icon’ visible from the surrounding ski slopes. However, the incline of the proposed village structure on the mountain and its potential reliance on mechanical transport were seen as potentially problematic. Moreover, the other proposed programmatic entities, especially the individual houses (tourist houses) left a lot to be desired – positioned either on the artificial lakes, or in circular configurations on the slopes of the mountain, they seem to be a result of a rather formal decision process, resulting in lack of convincing attitude of the entire project. The climatic health resort, positioned on the most prominent and high quality part of the site, was proposed as a closed, interiorized space, unrelated to its spectacular surroundings. The jury has concluded that the projects strongest point – the new ‘village’ - is a high quality contribution and response to the project brief – with its ability to include different scales of ‘infill’ projects it could (barring the problem of the incline) offer a spatially exciting, dynamic development, and has decided to give the project a honourable mention. On the other hand, there is notable lack of typo-morphological coherence in the tailoring and positioning of the built volumes within the grid. Some of the building types seem to be too schematically developed - the central problem of such an approach being the fact that only a very precise definition of the relationship between grid, urban spaces and buildings including all connections can make the project truly tangible. The jury has concluded that the central ski-arena area of the project is especially well designed, offering a possible vision of reality for the future. Likewise, the particular building types of the settlement, all developed from the same - or similar - basic model, related to traditional mountain architecture, but contemporary in expression and based on the issues of sustainability, are a particularly good ‘model’, to be potentially further explored in the future. The basic idea of the project deploys a lot of potential in terms of trying to melt artificial and natural universes, blend architecture and landscape. Built structures in the form of fir trees are set into the existing groves and refer by their inherent shape to the metabolism of the plants, including the energy-harnessing equipment on the tops of individual buildings. The very shape of the fir-tree houses nevertheless simultaneously restricts a flexible development of different functional needs and this deficit unfortunately could not be eliminated in the revision of the project in the second phase of the Competition. Indeed, the bases (or ‘roots’) of the tree houses have been remodelled in order to establish larger surfaces for horizontal layouts, but still most of the upper floors do not offer potential for really convenient and economical solutions. Even if the analogy to plants is somehow comprehensible and appreciated - it must be questioned - whether a pure ‘technical’ use for so many top-floors with prominent positions, offering long-distance views of the valley and the mountains, could be justified. The way the authors revised their project was (still) too fixed on the very ‘branding’ effect of the tree houses, an effect for which a selected number of the tree houses (for very specific uses and at specific places) might have been sufficient. Besides problems of functional flexibility, another problem arises out of the absence of possibility for the realisation of the individual lots by different architects, especially because the realisation of a complex of this size might take a longer period – years or even decades. However, the jury appreciated a courageous architectural proposal, as well as a clear structural disposition of the masterplan. It is considered as an interesting and precise approach for the possible organization of a new tourist resort in an untouched landscape. A minimalist competition entry that reduces the construction work to a single line – a strip placed above the road covering parking areas, that connect the entry and exit to the valley is, basically, a simple solution that enables the area of the terrain - as big as possible - toremain undeveloped and thus preserved as a nature reserve with large ecological and landscape qualities of the untouched nature. Great reduction of intervention, resulting in preservation of the nature is a quality for which the competition entry merited the invitation to the second round of the competition. Climatic health resort, the skiing plateau structureand the golf hotel represent the islands in the preserved natural space. Unfortunately, neither the comments of the Jury given during the briefing in Vienna, nor the requirements of the program of the competition were fully met. Residential areas – so-called tourist houses, are positioned outside of the borders of the area and thus are, for most part, out of the competition area - i.e. out of the terrain anticipated for the construction of the complex. Positioning of individual housing outside the planned area (on the adjacent municipality’s terrain), preventedthe entry from being observed as a possible contribution to solving the task set by the Klekovaca Tourist Centre. Position of the climatic health resort is also beyond the borders given in the Competition Program. Additionally, the position of the skiing plateau structure - at the very end of the ski slopes, approaches to it and its functioning are unclear. The position of the gondola is further dislocated in relation to the position given in the Competition Program. The architecture of the linear settlementwithin the strip that author proposesis rough and seems not typologically adequate for the buildings of a tourist centre in the mountains. The quality of the solution, however, lies in the minimal consumtion of space and the preservation of the landscape that could potentially ensure an optimal protection for the nature from the construction procedure and give the resort one – singular and pragmatic, as well as symbolic, form. Solution that was selected in the first stage of the competition for its minimalist interventions was not really developed in a convincing way, and failed to respect some of the basic (binding) constraints given in the Competition Program – therefore, there was no possibility to take it into further consideration. 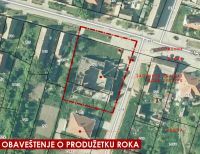 Predmet konkursa je izrada idejnog urbanističkog i arhitektonskog rešenja buduće urbane zone turističkog centra na planini Klekovača. Planina Klekovača se nalazi u zapadnom delu Bosne i Hercegovine, pripada središnjem delu Dinarskog luka sa najvišim vrhom Velika Klekovača (1962m) i proteže se u pravcu severozapad-jugoistok, u dužini od 43 km. Lokacija izgradnje uže zone turističkog centra se nalazi u podnožju planine, na visoravni Kozila, na nadmorskoj visini od 805 do 895m, površine 383ha, sa planiranim kapacitetom od cca 15.000 ležajeva. Širi kompleks Turističkog centra Klekovača obuhvata dodatnu površinu od 2.250ha planiranoj za zimske i letnje turističke sadržaje (planinsko etno selo, skijaške i nordijske staze, snowboard parkovi, adrenalinski park itd), koji nisu predmet ovog konkursnog zadatka. Pravo učešća na konkursu imaju arhitekti i urbanisti (odnosno autorski timovi) koji ispunjavaju sledeći uslov: timovi koji učestvuju na konkursu moraju imati najmanje jednog licenciranog – ovlašćenog arhitektu / urbanistu koji poseduje licencu stručnog tela svoje zemlje i koji je predstavnik tima.